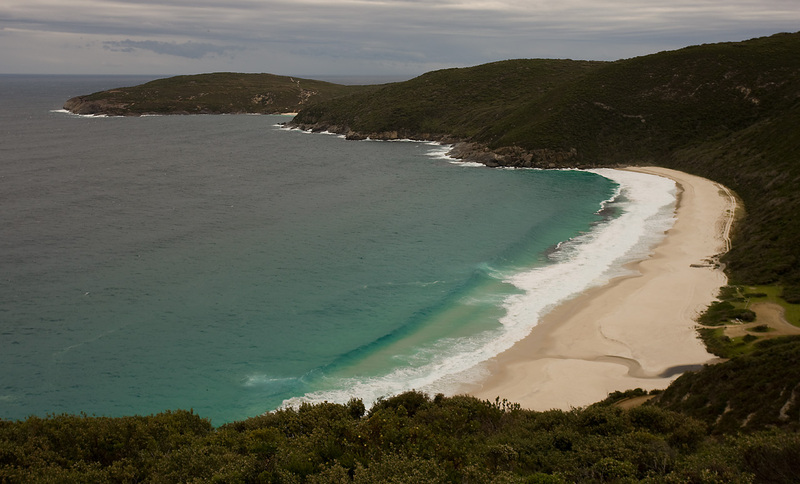 As the title says this is Christian Fletcher’s view of Shelly Beach as this is taken from the paragliding launch pad. Again from this angle you can see that this is truly a beautiful beach. I’m definitely going back there. This entry was posted in Australian Landscapes, Beach Photos and tagged beach, canon 1ds mkIII, denmark, shelly beach, southwest. I can see our camp site in this image Someone just needs to tell me dates and I’m there. Yeah just off the right but its a bit too cold at the moment. It’s awesome down that way. Love it out on West Cape Howe too. stunning beaches all around. Looks nice down there at the moment. It is a wicked flying spot but I almost met my maker there when the wind picked up and was pushing me back over theridge and into rotor, luckily it dropped and I was able to land with nothing more than soiled jocks! April is the time to go to Albany. I’m in town (Dunsborough) for 4 hours tomorrow. 4pm until 8pm, finally finishing off the caravan roof. LOL. If the weather isn’t too bad I might try and get a quick Canal Rocks shot.